You’ve likely heard about ESPN.com’s #NBArank project of ranking all NBA players. Yes, this isn’t the first of it’s kind — the idea of assigning numerical order in a rather arbitraty way even though it involes input from wide-ranging subjects — and it won’t be the last. 1) JaVale McGee’s #NBArank came in at #99, nestled between Wesley Matthews (#100) and Shane Battier (#99), among others — Was this about right, too high, or low, and why? If the entire league were re-drafted, about where would McGee fall? John Converse Townsend – @JohnCTownsend – JaVale McGee’s rank is fair; moving this Guinness World Record holder a handful of spots in either direction wouldn’t bother me. If the league were to be re-drafted (parity, maybe! ), McGee would be selected higher than the ninth pick in the fourth round (No. 99). Some team surely believes they could break this bronco, and would saddle up an early ride. Rashad Mobley – @Rashad20 – McGee’s ranking was right on point, especially when you consider he’s basically the Rex Grossman of the NBA. When he’s on, he’s blocking shots, grabbing rebounds, and dunking every ball in site. When he’s off, he’s walking with his head down with five minutes left in the first quarter because he’s just picked up foul number three. In a redraft, McGee would be taken around 60-70 by a Don Nelson clone who is amazed by his wingspan, his hops, his speed and his ability to dunk on two balls in a single bound. Adam McGinnis – @adammcginnis – I have never been a fan of these type of subjective sports ranking lists and feel more like bored sports pundits trying to produce pixels loathing to discuss the latest BRI break down. I want to rank JaVale higher based on Dr. J embarrassing him on national TV by licking his mom’s face and his clever summer planking photos, but McGee’s horribly stale alter ego Pierre along with his boring tweets neutralize those so his ranking is about where it should be to me. Beckley Mason – @BeckleyMason/HoopSpeak.com – It’s a fair, perhaps generous ranking. McGee isn’t much of a one-on-one scorer or defender, and he shows about as much restraint as a Keith Richards in a room full of booze and babes. In a redraft, he’d probably go higher than 99, just as he’ll likely be paid like a top 50 player when he becomes a free agent. The potential indicated by his combination of size and grace is just too tantalizing for teams to resist overvaluing. 2) If you’re talking other closely-ranked young big men, Indiana’s Roy Hibbert is ranked #96 (drafted 17th in 2008, turns 25 in December), and Sacramento’s DeMarcus Cousins is ranked #82 (drafted 5th in 2010, turned 21 in August). McGee was taken 18th in ’08 and will turn 24 in next January. If you’re the Wizards, would you trade McGee for either player? Explain your answer. 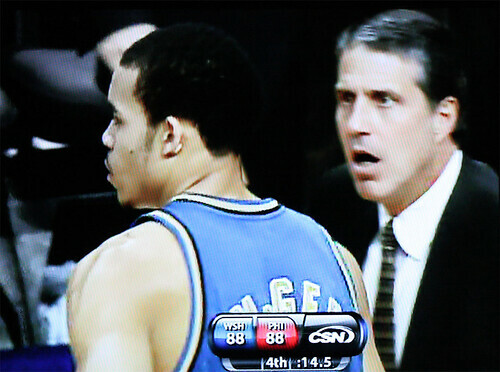 John Converse Townsend –I would trade the pigheaded JaVale McGee for DeMarcus Cousins’ bad attitude in a heartbeat. Based solely on ability, Cousins is a great fit for the Wizards roster, offering a powerful presence on the block with great instincts and underrated technique. As a total package, I’d still rather have Cousins’ production, potential and problems than McGee’s glass ceiling. Rashad Mobley –I’d trade for Cousins. Unlike John Wall, who has shown marked improvement this summer in all facets of his game, McGee seems content to dunk, get dunked on, and ignore any semblance of a low post game. Hibbert is clearly skilled, but he picks up fouls in bunches and disappears for significant stretches. Cousins has more talent in his constantly furrowed brow than McGee and Hibbert have in their 7-foot 2-inch frames, and I’m convinced that any lingering maturity issues with Cousins would be erased by the presence of his old Kentucky teammate running the point. Adam McGinnis –Roy Hibbert has improved his numbers over the past season and would provide the Wizards would a solid paint presence. However, his offensive skill set still does not force a double team on the block and Hibbert’s slow, slogging style seem to be an antithesis to John Wall’s mach-1 full court speed strength, where McGee excels as a running partner. I would trade McGee for DeMarcus Cousins in a heartbeat as Cousins is a franchise type of player with ability to be a top five rebounder for a decade. He also possesses brute force around the hoop that McGee will likely never gain. Cousins maturity questions are overblown and Wall would definitely enjoy bringing his former teammate on board. Making Wall happy should be the top priority for this franchise for years to come. 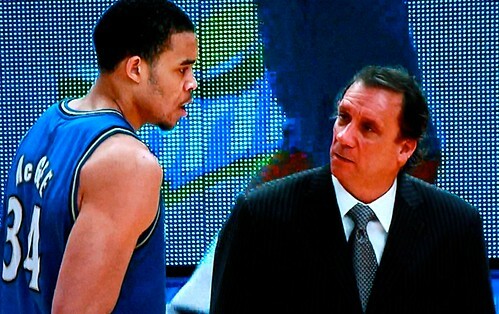 Beckley Mason –I would trade McGee for either. Hibbert has shown an ability to play effectively within a system and score in post isolations. Cousins is younger, stronger than both and, unlike McGee or Hibbert, has true franchise player talent. Hibbert vs. McGee is close, but if Hibbert really gained 20 pounds of muscle, his touch and hoops IQ could make him next Marc Gasol-lite. With McGee, you wonder if he’ll ever grow up. 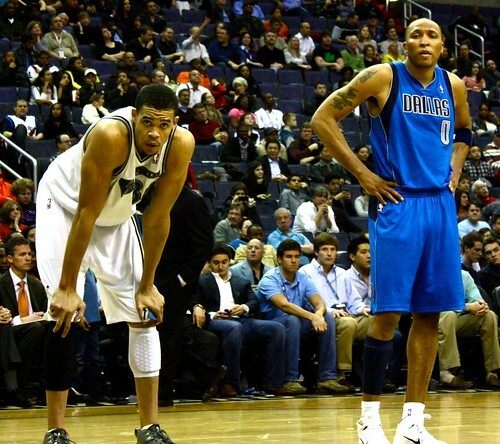 3) Where should the Wizards expect McGee to improve the most next season? What are the odds of him succeeding? 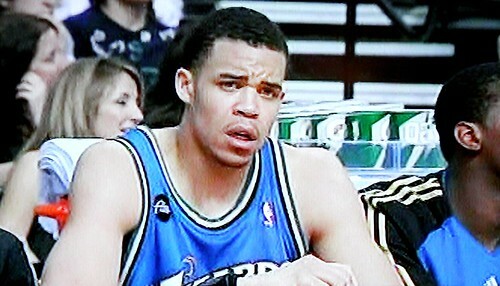 John Converse Townsend –The Wizards should expect JaVale McGee to improve on the offensive end. He’s best known for his impact on defense (often found camping under the basket), but McGee absolutely loves to see the ball rip through the net and flashed fundamentally sound footwork on several occasions last year — kind of a beautiful thing. Rashad Mobley –Unless Kareem-Abdul Jabbar or Hakeem Olajuwon can nail McGee down for an entire summer to enhance his game, I think we have seen the best of McGee. He’ll get more scoring chances since Wall is healthy, spry and ready to lead faster fast breaks, but he’ll still pick up fouls in bunches, take ill-advised shots that disrupt the offense and jump at the slightest hint of a head fake. The odds of him improving on that tried and true formula are extremely low. Adam McGinnis –No other sports athlete simultaneously straddles the WTF to OMG line like JaVale McGee. To viewers, his entire game is a crazy high wire act of athletic awesomeness layered with remote throwing, four letter cursing. I could harp on the dribbling (Oh dear gawd the dribbling! ), falling for head fakes, jacking up low percentage shots, his surly attitude or swatting balls out of bounds but honestly, JaVale has really improved under the tutelage of this Wizards coaching staff. You can see him applying their lessons on the court, and no one can ever question whether McGee will play hard. The team expectations are to have JaVale continue to build on this enhanced decision-making and keep focusing him to play to his strengths. I find this a feasible outcome as JaVale will have personal incentive due to him wanting a big pay day with his next contract. Beckley Mason –McGee has to stop taking himself out of plays on defense. I would strap him to a chair Clockwork Orange style and force him to watch hours of Joel Anthony challenging at the rim by going absolutely straight up. If McGee can curb his instinct for over rotating to flail at unblockable shots and avoid fouling when contesting direct challenges to the rim, it will be more development than he’s shown in the last two seasons combined. I’d love him to succeed because pairing the McGee prototype in our (and probably his) minds with John Wall is an exhilarating prospect. I’m not prepared to predict a more discipline ‘Vale for next season, but boy, would it be awesome.